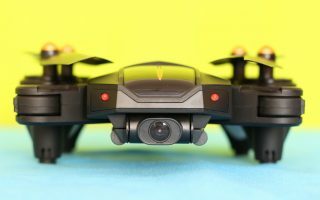 While the little Breeze was Yuneec’s answer to DJI’s Spark, the MANTIS Q wants to be the contender of the popular Mavic Pro. Equipped with 4K camera and up to 33 minutes flight autonomy, the YUNEEC MANTIS Q seems to be one of the best foldable drones of 2018. When it is folded together, the Mantis Q measures only 168 x 96 x 58 mm and weights about 480 grams (including camera and battery). Instead of a real motorised 3-axis gimbal, the YUNEEC MANTIS Q’s camera features only optical image stabilisation. The angle of the camera can be remotely adjusted. Unlike most in its class, Mantis Q comes equipped with advanced indoor stabilization technology. Down-facing dual sonar sensors and infrared detection make it safe enough to fly indoors and outdoors. Both, FPV and control range are up to 800 meters for Europe (CE standard) and up to 1500 meters for US (FCC standard). I know the Mavic Pro has much longer control\video transmission range for both standards. 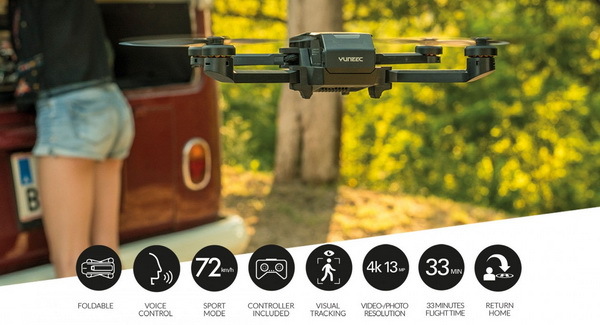 Surely, with top speed of 72Km/h the YUNEEC MANTIS Q is currently one of the fastest cruising drone around world. It is 7km/h faster than its contender. Up to 33 minutes flying autonomy. The Mantis Q drone comes in a standard setup that includes a remote, 3.7V/3000mAh flight battery, spare propellers and a serial triple charger that charges up to three batteries in a row. The X Pack (aka Fly more combo), which is also available, contains the aircraft and transmitter, as well as three batteries and two sets of spare blades. It comes in a small, practical transportation & storage bag. 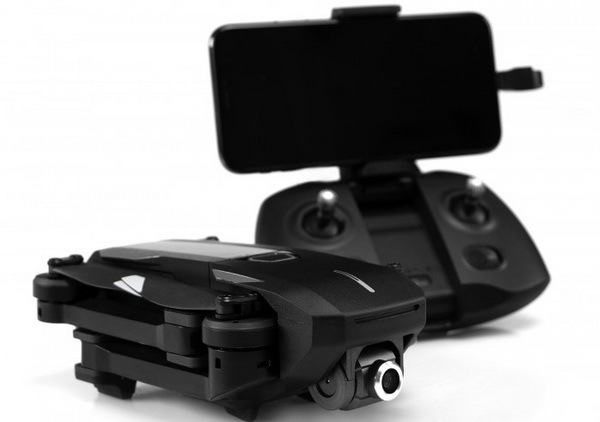 Mantis Q – $499.99: MantisQ, controller, one battery, spare propellers (one set) three-port charger, power and USB cable. Mantis Q (X-Pack) – $649.99: Mantis Q, controller, three batteries, travel shoulder bag, spare propellers (one set), three-port charger, power and USB cable. For now, both models are available only for pre-orders. 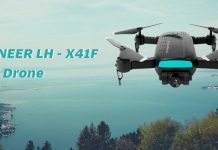 Frankly, in my opinion the Mantis Q is a bit overpriced taking in consideration the lack of a mechanical camera gimbal and short flying distance. just another garbage from Yuneec, no real gimbal – only electronic image stabilisation. 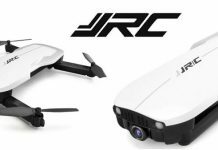 save your money for a DJI drone!!! Similar design, functions and price. Very pale creation from Yuneec. As i know it’s still the first step in drone market. Why not break it up and stop copying others. 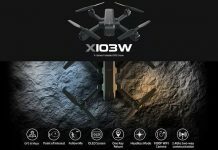 Indeed DJI is chief, and it’s enough unique, perfect tech. @Mark You are totally wrong!!! IMHO, Yuneec is the second best drone brand. 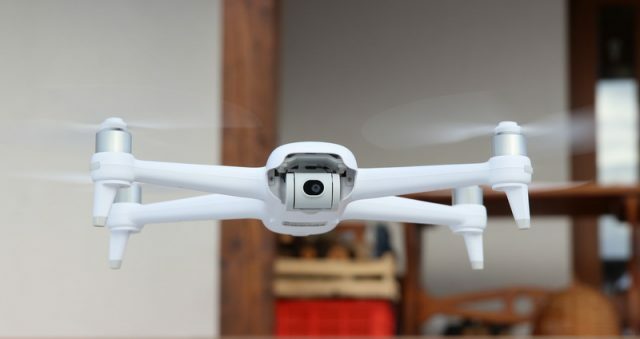 The have many popular drones, from toy ones (Breeze) to professional grade ones. Yes, the Mantis Q will, their first compact foldable drone. The Mantis Q will have a chance only in Europe, where transmission power is limited. It´s always a question of personal specific needs and of price. As for the latter the comparable DJI product is the Spark, which is more expensive, has half the battery time but a two axis gimbal (still, also only 1080p, so one would have to see the results) and front obstacle avoidance. Good reasons to buy each, if photos and videos are halfways comparable, I´d prefer the Mantis. (Btw, as for the law, range in the USA is also limited. You have perfectly right! DJI was always one step ahead against Yuneec. Their MantisQ can be a success only if its price will be under 500 US dollars (including remote).